The government's star witness in its prosecution of top organized-crime bosses in 18 mob murders today admitted his role in a conspiracy to conduct the affairs of a criminal enterprise – namely, the Chicago mob. Nicholas W. Calabrese, dressed in a gray sweatshirt and navy sweatpants, entered his guilty plea before U.S. District Judge James B. Zagel. Calabrese has long cooperated with the government, and pleaded guilty in advance of the trial of his co-defendants, expected to get under way this summer. Zagel noted that Calabrese could face at least 24 years in prison according to federal guidelines, but federal prosecutors are expected to recommend a lesser sentence. After the hearing, Calabrese's attorney, John Theis, said he could not say whether the 64-year-old Calabrese believes he eventually will be released from prison because of his willingness to aid federal investigators. But Theis said he expects his client to fully cooperate, including testifying in the upcoming trial of his former cohorts. "He will testify truthfully," Theis said. According to today's plea agreement, Calabrese contributed to 14 of the murders previously charged in the case and was directly involved in the Sept. 14, 1986, killing of John Fecarotta. The document states that Calabrese, on the orders of James LaPietra and under the direction of his brother, Frank Calabrese Sr., lured Fecarotta to his death under the ruse of participating in a crime. "The defendant and the victim struggled over a gun in the car they were in, and the victim fled on foot," the document states. "The defendant admits that he chased Fecarotta and shot and killed him after the victim fled the vehicle." The Tribune previously cited law-enforcement sources as saying Calabrese agreed to cooperate after he was confronted with DNA evidence linking him to at least one murder. 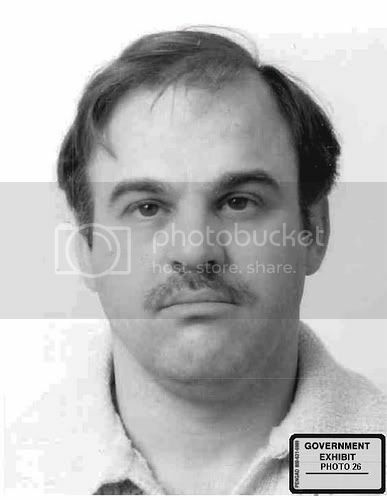 He implicated an alleged Who's Who of the mob—James Marcello, Joey "the Clown" Lombardo, Frank "the German" Schweihs, brother Frank Calabrese Sr. and others—in connection with 18 long-unsolved mob murders, including the 1986 beating deaths of Anthony and Michael Spilotro. The four reputed mob figures and nine others were indicted with Nicholas Calabrese on gambling, loan sharking and murder charges.